The hardest thing after starting a new business is targeting audience. In other words, attracting people towards your business is hard. Especially when you are new to any of the business and directly in touch with the customer, means operating any kind of retail business. This is appropriate marking for every kind of business. The restaurant ordering app business also has the same application of such untold rules. Setting up a marketing funnel is a systematic approach to marketing. But the question is how to do that? Well, there are few techniques which can be simply applied and you can enjoy an effortless marketing with productive results. That’s good that you are having an app. It indicates that you are very much interested to target the high volume of traffic coming on the mobile platform every day. Youngsters are the big part of the total volume of mobile market traffic. Youngsters prefer apps to get the food delivered on their doorstep. 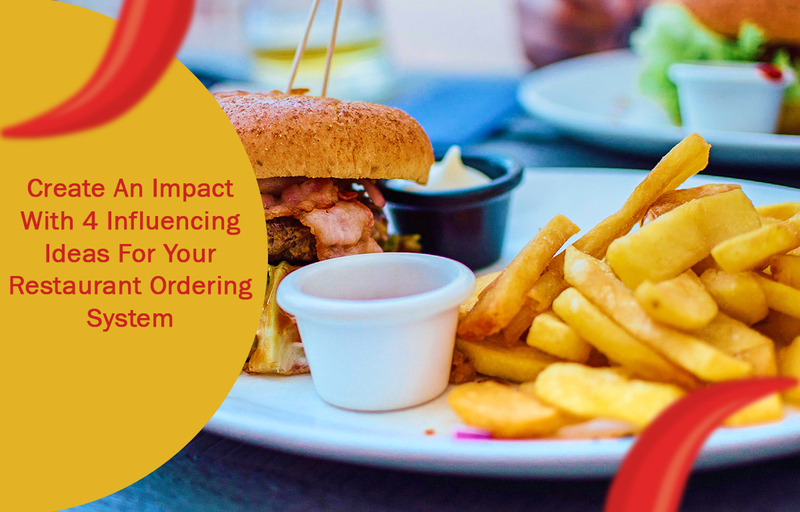 As the most popular option to order food, it is your responsibility to simplify the process to order. That you can do by customizing the app. Do the changes in order to provide an app which allows simple process and navigations. Simple apps are the most influential thing for targeting the potential customers. Targeting the mobile market but not having a mobile marketing strategy? It is just like you want to travel to a distant city but you don’t have a vehicle. The only option available is to start walking to reach your desired destination. You will reach there for sure, but when you will be there is the question. The same applies to the restaurant ordering apps. In 2016, 149.3 billion mobile apps downloaded worldwide. Just think how much bright chances you can get if you go for a proper mobile marketing strategy. You have an app but not having a marketing strategy will not ensure success in the very short period of time. It will take time, no one knows after which time you will be at top of your business. So be ready with a full proof mobile marketing strategy to get a productive return on your investment. Deals, discounts, exclusive offers are some of those words which makes our eyes shining. It is the most impactive way to attract customers very easily towards the app. Promote the discounts, deals and offers everywhere. On social media, on your online restaurant ordering system itself and on the website as well. Keep repeating deals and offers. It will ensure a strong bond between a business and customer. There are chances that whenever a potential customer thinks about party or ordering from apps, the first name which will pop up in their mind will be yours. That is how you can take the help and advantage of offers for a long time to establish a strong restaurant app business. The social media is the most powerful and influential way for attracting the targeted audience. Post relevant content on various social media platforms like textual content for Facebook, video story for Instagram and high-quality image on Pinterest. Don`t forget to put a link to your app with every post. A forceful flow of traffic will start running towards your app since you will start presenting yourself on social media platforms. People can be easily kept engaged with the help of social media but the foremost rule for that is you need to keep posting relevant content time to time. You can implement many ideas to prepare a relevant post like you can make recipe videos, DIY videos etc. Try to respond every review your business app has received, it will show how serious you are for your restaurant app business. Also, use advanced tools like Google analytics if possible to track the visitor activity. Try to take the advantage of above-mentioned ideas as much as possible. The ideas shown here does not require any kind of separate investment or efforts to be made. With fewer efforts, you can keep up with the need or your targeted audience. For making the paths simple of creating marketing funnel for your potential customers the above ideas are very applicable when your audience are using the mobile platform, young and hard to influence. Feel free to modify or change the above-given ideas, and adopt only that which suits the best to you and your restaurant ordering app business.